Seeing as, among friends, I am famously a bit of a disaster in the kitchen, I best not pretend that these cupcakes were made from some special recipe which I customised myself. Nope, I just followed along with a plain old recipe which I found by bugging my Mum for a simple chocolate cupcake mix. It's a bit risky making cupcakes for Alan who is damn good baker himself, but oh well, I gave it a go anyway. 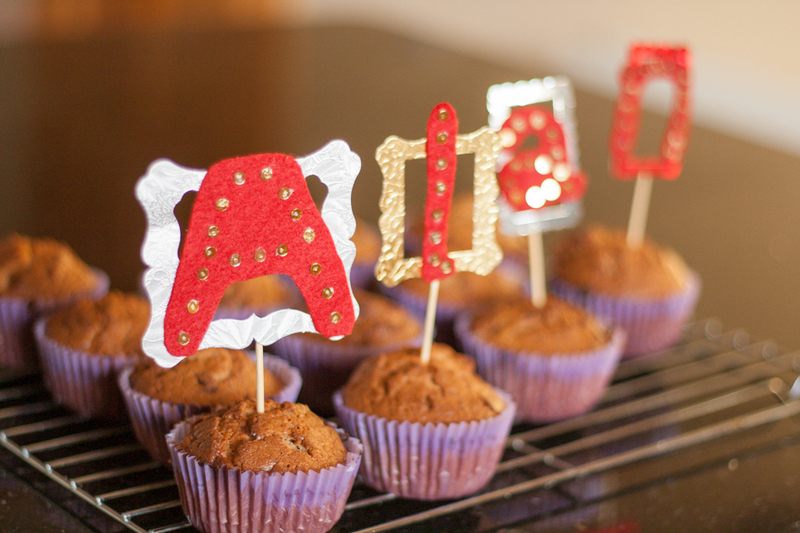 I'm a bit more happy with the cute letters which I made! 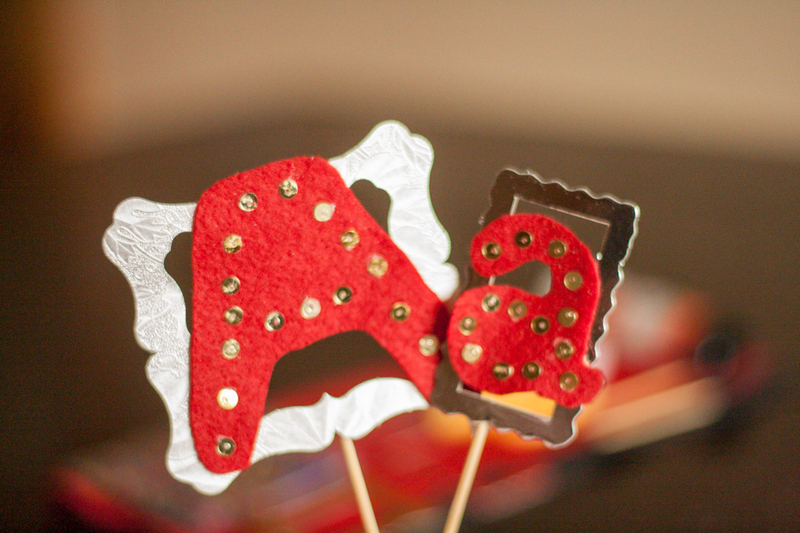 To make them I cut letters out of red felt, stuck gold glitter onto it and stuck the felt onto little paper frames which I found by snooping in my Mum's scrapbooking kits. 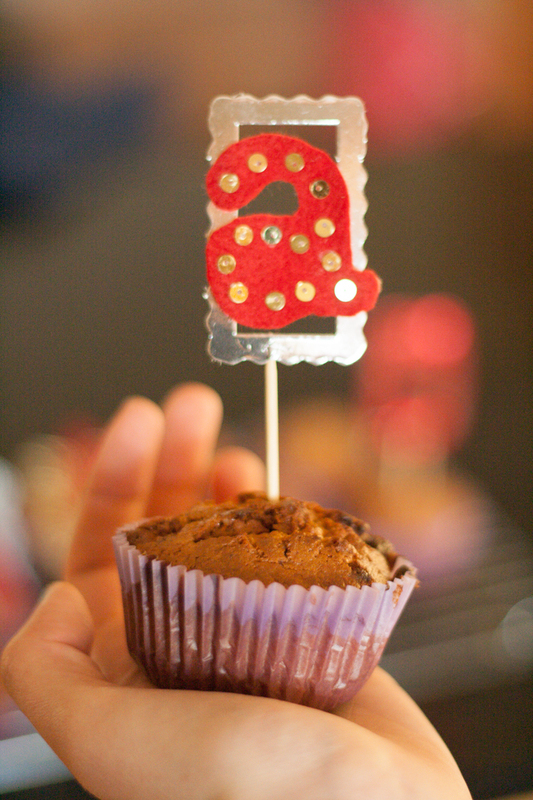 This was taped to a toothpick so that I could proudly display the letters on my cupcakes. You can see a bit of the glue around the edges of the glitter and the letters aren't exactly in proportion but I think that the imperfections add a little homemade quality to them. Or, maybe I'm just saying that to let myself off. Either way, here they are. Anyway, that's all for now. Outfit post to follow soon!